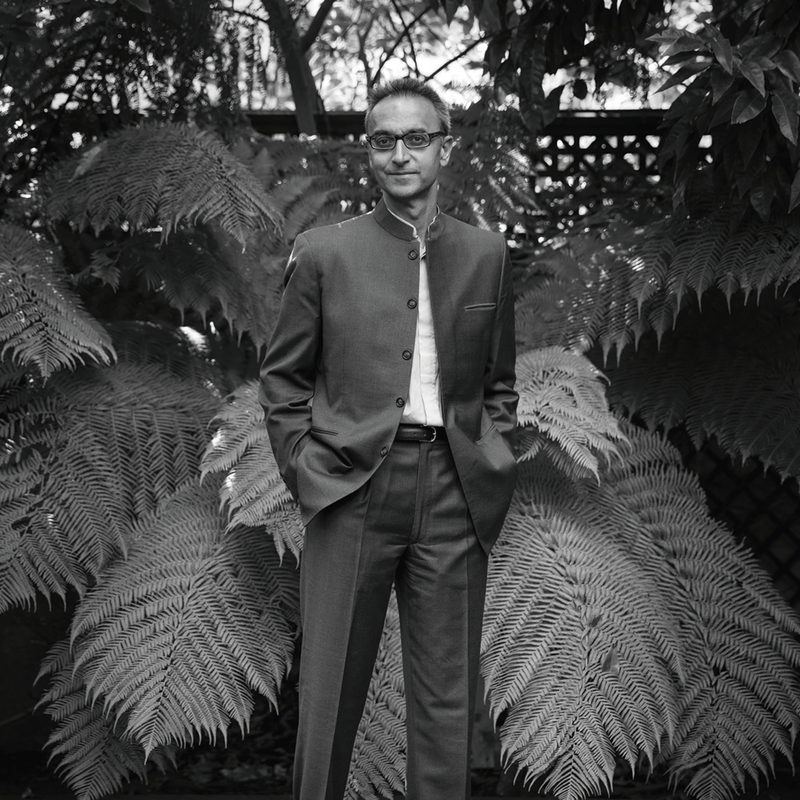 AWM meets Sonu Shivdasani, Founder of Soneva Group, a travel brand that puts the emphasis on slowing down the pace and completely disconnecting from the outside world. 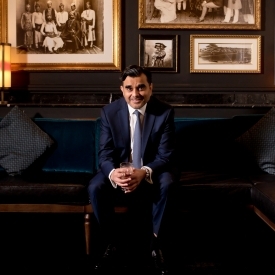 These are the words of Sonu Shivdasani, co-founder and ‘Guardian of the culture’ (as his business card displays) of the hugely successful Soneva Group, which owns and operates luxury retreats in the Maldives and Thailand. 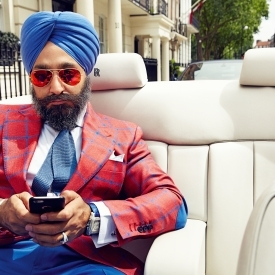 He is on a mission to reclaim the essence of what defines luxury. It is a word, he believes, that is used too often to describe things that have become part of the everyday. 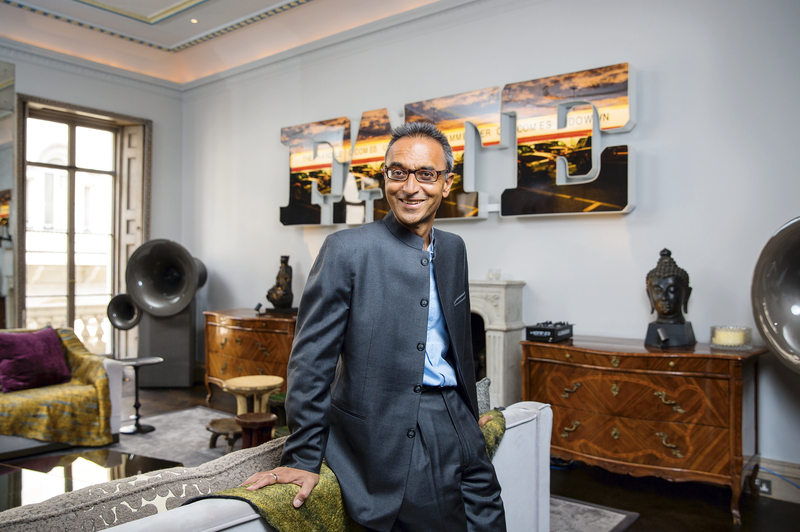 In a world where it’s difficult to differentiate between ‘luxury’ brands, Sonu, working alongside his wife, business co-founder, creative director and Soneva conscience (as also described on her business card) Eva, is focused on creating something completely unique. The result is Soneva, a pioneering travel brand, that offers visitors once-in-a-lifetime experiences. Their ethos is simple, to focus on ‘slow living’ by offering luxury, wellness and sustainability in breathtaking settings. 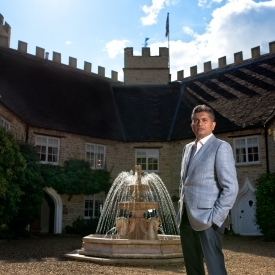 “If you look at The Sunday Times Rich List today, the majority of people on it are self-made and 90% of them live in cities,” says Sonu. “They travel a lot and are going to New York or Paris or Shanghai. They might think that they’re travelling in luxury, but the things they’re experiencing aren’t luxuries, they’re nice. The restaurants, hotels, cars are much and much the same – made by the same designers and architects – and the food they’re eating never varies much from place to place. A bit like a real-life Willy Wonka, Sonu takes people’s dreams and turns them into a reality. But this isn’t about being overly ashy or over the top, it’s about a simpler, more pared back way of travelling that puts you at one with nature and the environment around you. 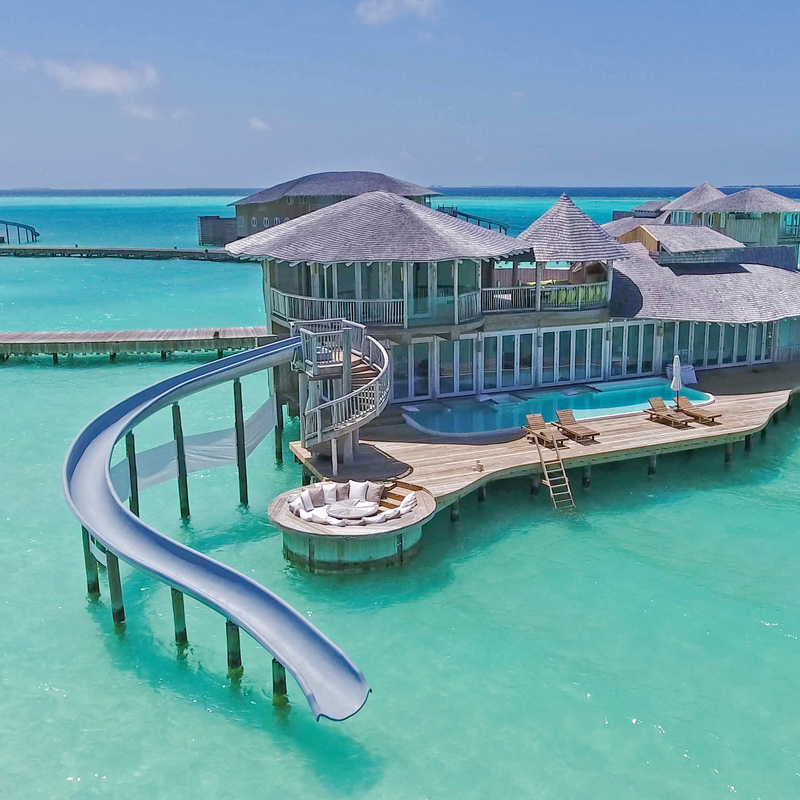 The concept has paid off, with Soneva winning multiple awards over the years, including two coveted World Travel and Tourism Council ‘Tourism for Tomorrow’ awards. 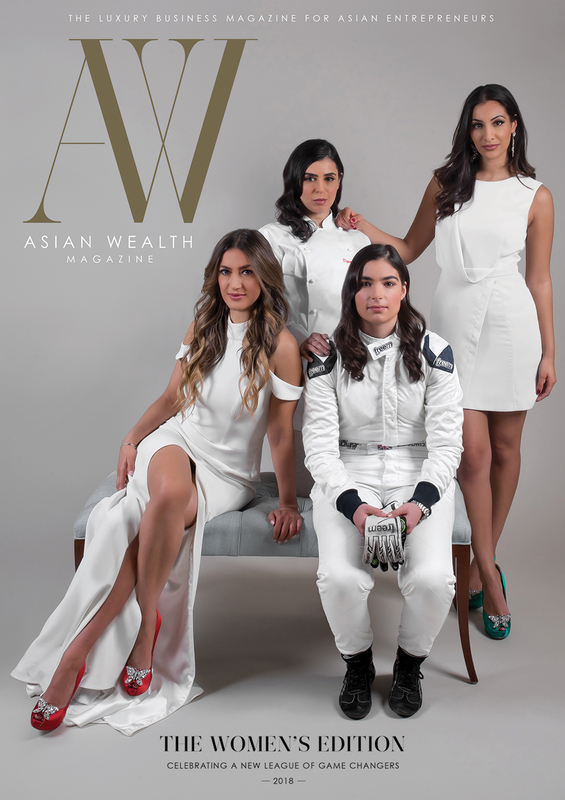 Having inherited some money from his father, a successful trader and investor, Sonu, then 23, and Eva decided to build a house in the Maldives. The only snag was that in order to get planning permission the government wanted them to develop tourism in the area. The couple lucked out when they found an island on the Baa Atoll that had been abandoned for 15 years due to the difficult transport links to and from the atoll. 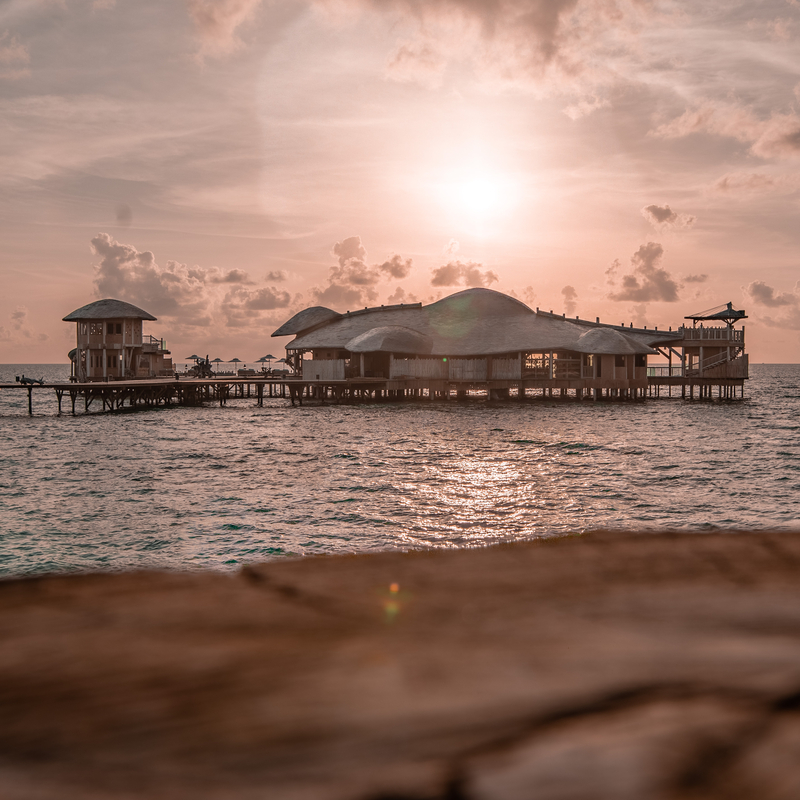 Fortunately, Sonu and Eva had the vision and the foresight to choose the destination as the location for their first resort, Soneva Fushi, which now can easily be accessed by a 20-minute floatplane. As word spread about the excellence of Soneva Fushi, Sonu and Eva were asked to help other hotel operators to grow and develop their brands. 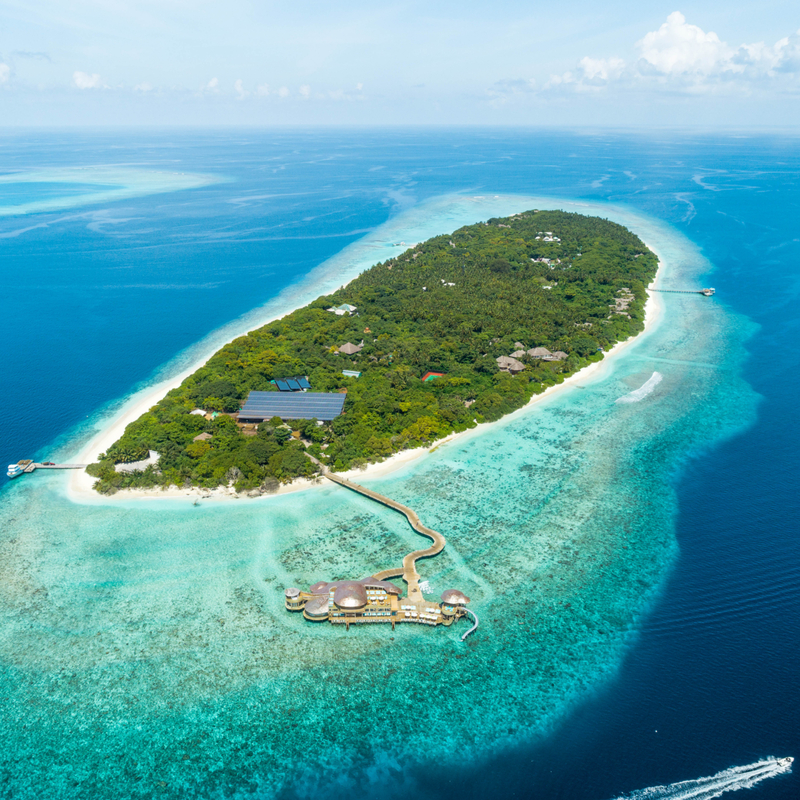 This led to the formation of Six Senses Resorts & Spas, across South East Asia and Europe, which they sold in 2012 to focus on their own, privately-owned resorts. into charcoal, polystyrene into building blocks, and glass is put into a state-of-the-art furnace to be recycled. There’s even a visiting artists’ programme, where to date $2 million worth of art has been produced from recycled waste. They also offset carbon production through a mandatory 2% environmental levy charged to guests. It has so far generated $6 million in eight years, which has gone on to fund various sustainability projects, including half a million trees in Thailand and a windmill in South Asia which gives subsidised energy to the local area. “This is a lovely example of where we made a small change to our business that didn’t affect our profitability but engaged our hosts more and had a good impact elsewhere,” explains Sonu. the leisure traveller, rather than the corporate traveller.